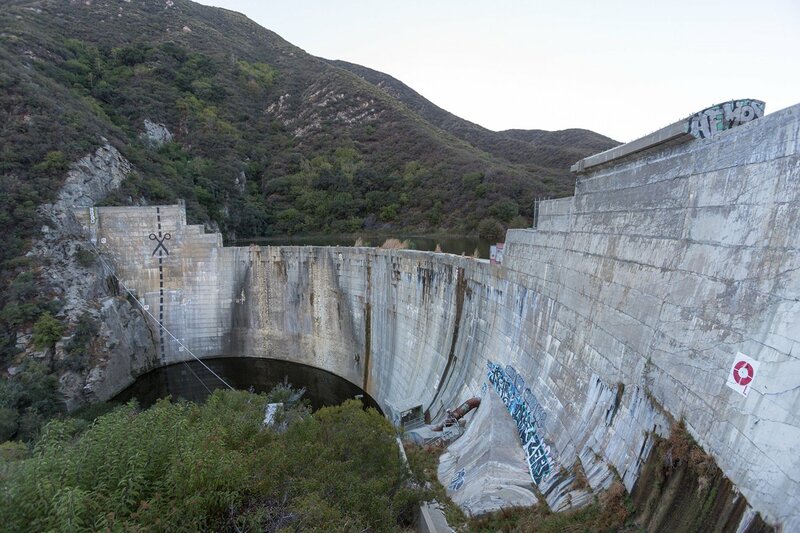 Built in 1947, Matilija Dam blocks a tributary of the Ventura River about 16 miles from the Pacific Ocean. The dam no longer provides irrigation water to local farms, and sediment fills almost its entire reservoir. The dam originally stood 198 feet tall, but due to safety concerns, it has been notched twice and now stands 168 feet. 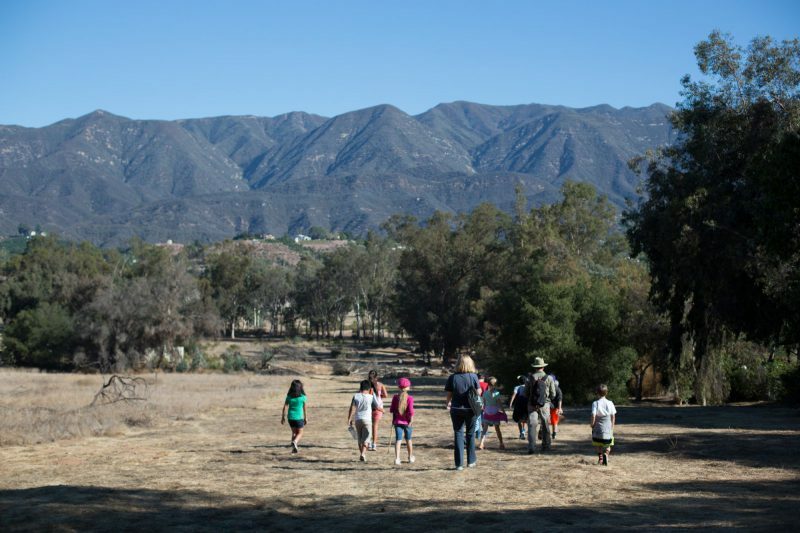 It completely blocks steelhead migration on the Ventura River, preventing passage to over 50 percent of the primary spawning and rearing habitat of the river system. The dam also prevents downstream transport of nearly eight million cubic yards of sediment necessary to maintain the estuary and beaches at Surfer’s Point. 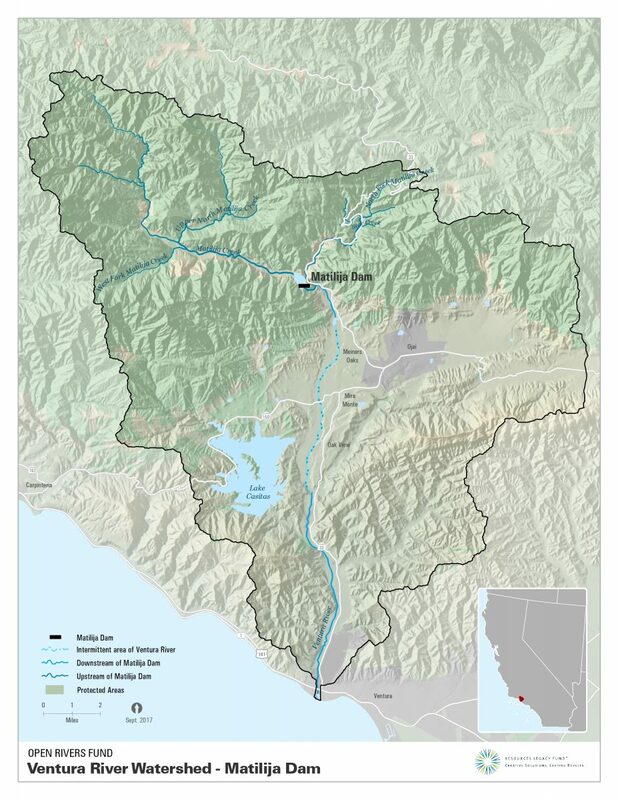 Over the past several years, with federal, state, and local funding, dam owner Ventura County Watershed Protection District and stakeholders undertook studies that identified various structural dam removal alternatives for dealing with the sediment behind the dam. In spring 2016, a multi-stakeholder Matilija Dam “Design Oversight Group” selected a preferred alternative dam removal concept. The District is now advancing the project to the next critical design phase that will directly lead to removal of the dam. The project also involves improvement of bridges, roads, and levees downstream and enhancement of a river parkway trail.